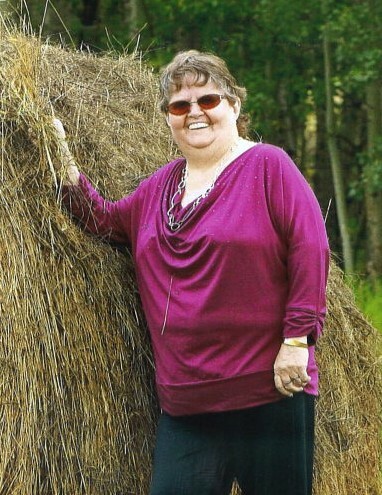 On Sunday, February 10, 2019 at the Drayton Valley Hospital with her family by her side, Donna Chodak aged 69 years passed away. She leaves to cherish her memory her daughter Shelley Graham (Derrek), son Gene (Merna), grandchildren Tyler (Ashley), Travis, Zach, Kira, Amber (Chad), Cody (Monica), Christy-Lela, Cheyanne as well as 3 great grandchildren Sawyer, Landon and Jaycee. Also surviving are numerous siblings, nieces and nephews, relatives and friends. Donna was predeceased by her husband George in 2001 and by her parents Floyd and Mary Combs. Funeral Services will be held on Friday, February 15, 2019 at 1:00 p.m. at the Calvary Baptist Church, Drayton Valley with Pastor Kenton Penner officiating. Interment at the Riverview Cemetery. If friends so desire memorial donations may be made to the Alberta Cancer Foundation Provincial Office 710-10123 99 St. NW, Edmonton, Alberta T5J 9Z9. The family would like to extend their heartfelt thanks to the Doctors and Nursing Staff at the Drayton Valley Hospital for the care and compassion shown to Donna and to our family during a very difficult time.